Gap having a sale of up to 50% off! The Gap is a well-known American brand of clothing which appeals to people of all ages, including babies! 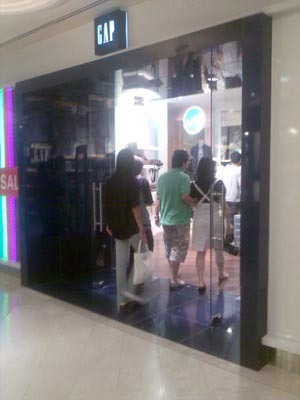 Located at #01-18-23 of Wisma Atria, Gap offers customers updated, casual clothing and accessories that allow them to express their own sense of style. Now, this store is having a sale of up to 50% off!